Social Media and Global Change video demonstrates the powerful impact of students from Egypt, Morocco, and the US working together to address social issues of common concern. Seen through the eyes of participating students, the video is a compelling story about students who faced the common challenges of using virtual communications across very different cultures, and then working together to begin to implement solutions to pressing social issues in their respective countries. Three students at the U of Washington, Bothell, discuss how their course work experiences interacting virtually with Tibetan students in India impacted how they view themselves in the US. And, how it impacts their views of their three home countries; Djibouti, Yemen and Somalia. 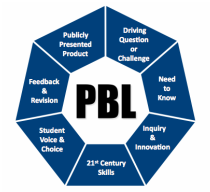 If we want to have our students tap into their own creative talents in doing project-based learning, I want to model it as well. Here is how I gave one class their assignment to form their first global teams..